Ouray, CO "The Switzerland of America"
As we wandered deeper and deeper into the mountainous Western region of Colorado, we fell more and more in love with the landscape. 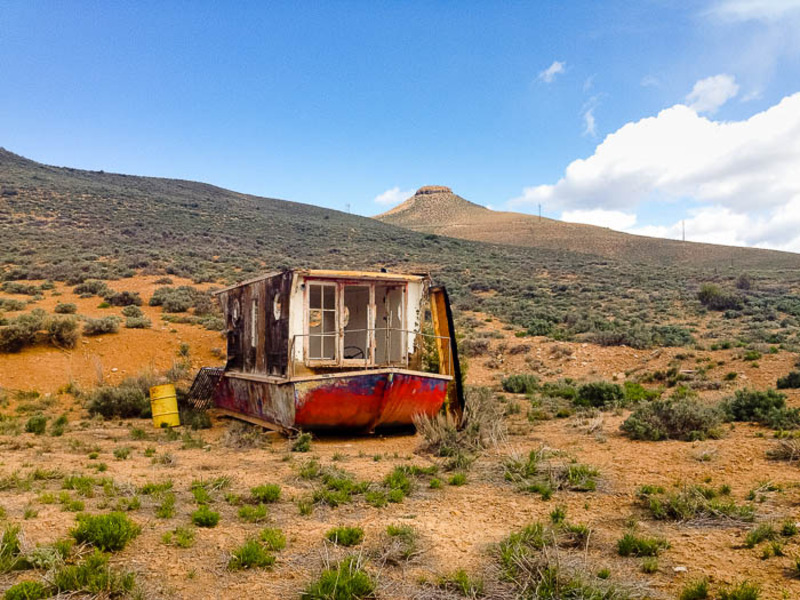 We found this boat behind our lakeside campground, just a bit far from the water. Driving through Gunnison Valley was like being transported into a lush fairy tale land, with its snaky streams that cut through verdant meadows and gently rolling hills that looked like they were covered with deep green felt. 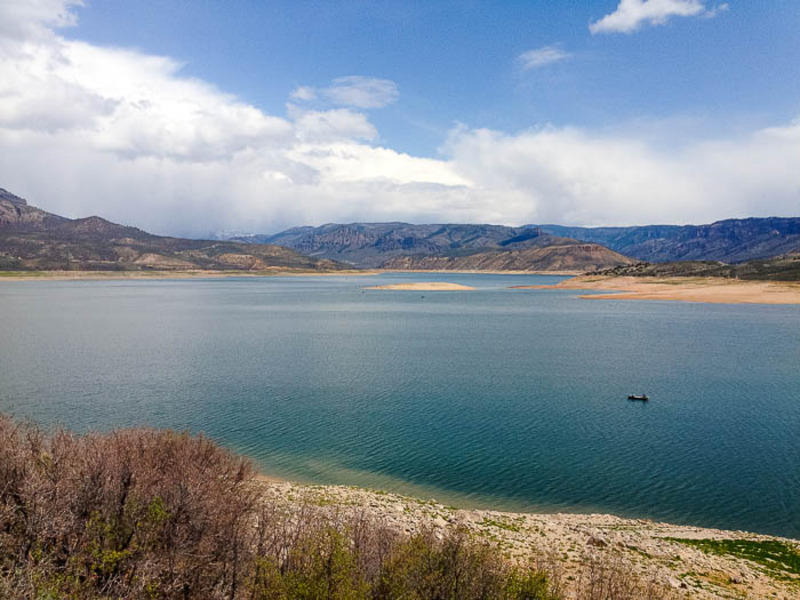 We passed by Blue Mesa Reservoir, a long skinny turquoise lake (with water levels that looked dangerously low) bordered by steep shrubby land. But what made my heart ache the most was seeing the distant San Juan Mountains for the first time. Framed by sloping mountainside, this snowcapped mountain range is the largest in Colorado; they're what the mountains on the Coors can are modeled after. Their jagged white peaks are typically either shrouded by rain clouds or dramatically lit by the sun. Pretty much the most picturesque mountains I've ever seen. We stayed just north of the range, but drove down to Ouray one stormy evening for date night at Ouray Brewery. The sun shone defiantly behind us as we approached the menacing dark clouds that hung over the fortress-like mountains, creating that awesome light that photographs perfectly. Of course we pulled over so that John could hop onto the roof of the truck and shoot it. 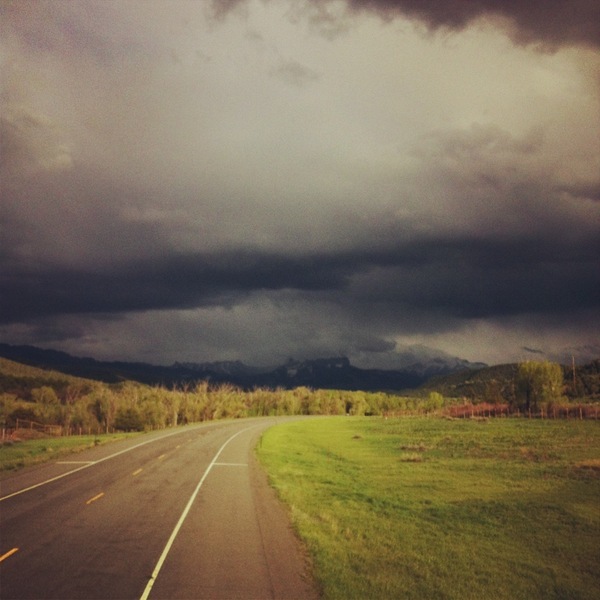 As we kept driving, the mountains engulfed us and the rain came down hard. Twisting and turning roads that hugged rock walls were mostly obscured by the rain furiously pounding down on our windshield. Mr. 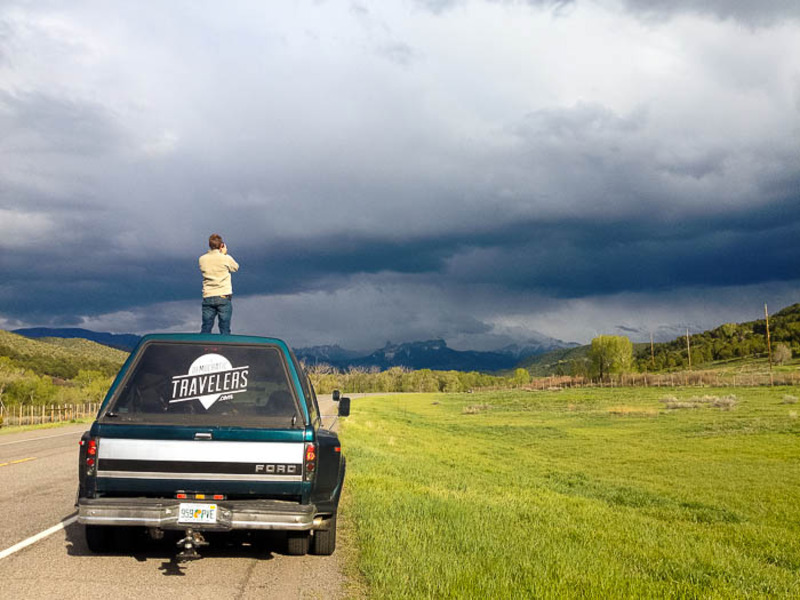 Photographer shooting the stormy mountains from his favorite spot. 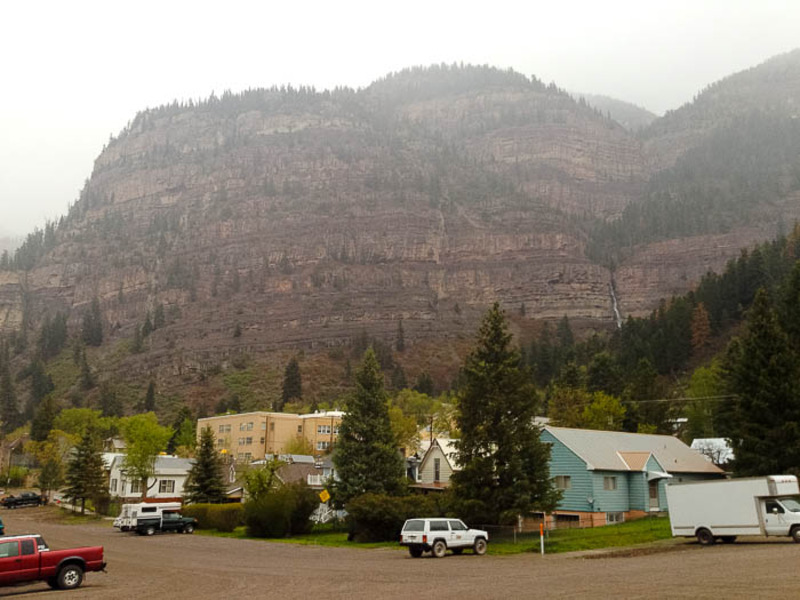 After a treacherously stormy drive, the rain let up a bit as we pulled into the quaint town of Ouray, affectionate and accurately nicknamed "The Switzerland of America". The main street is lined with Victorian homes and old-western-mining-town-style buildings that house shops and restaurants. We could barely see them because of the clouds, but Ouray is surrounded by 13,000 foot snowy peaks that rise up on the edges of town like giant skyscrapers. 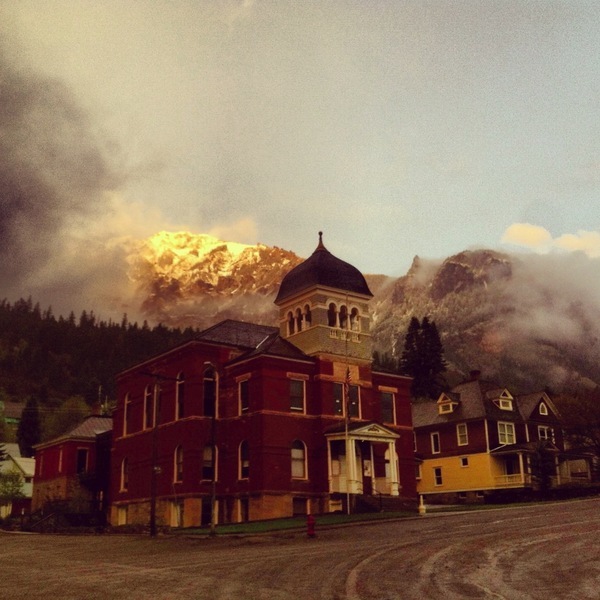 Ouray Brewery is on a corner of Main Street in the center of town. They've only been open since 2010, but they brew some delicious beers that are on par with Colorado's craft brew scene. Inside, stools along the bar were replaced with swings, unfortunately occupied by a gaggle of small children singing "Pumped Up Kicks". 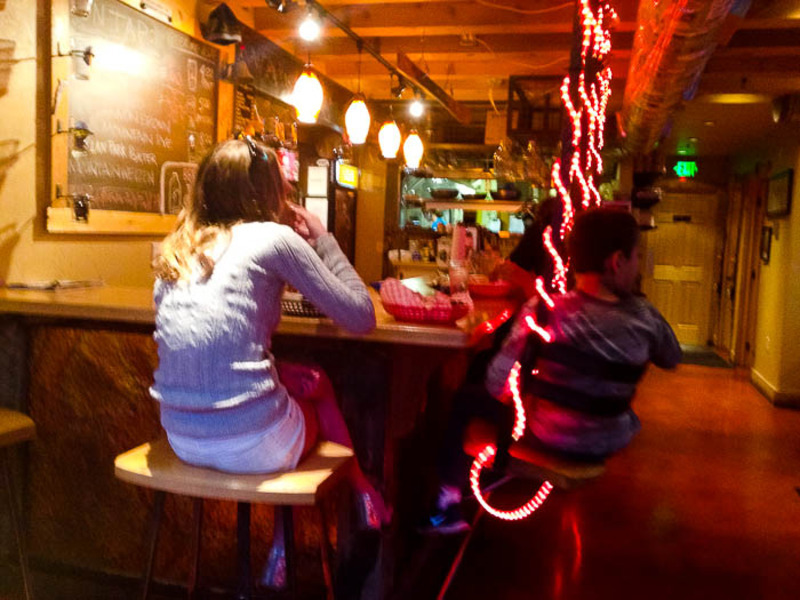 Despite the strangeness of children hanging out at the bar loudly singing pop songs, we enjoyed their Box Canyon Brown Ale and the San Juan IPA, both tasty and fresh. 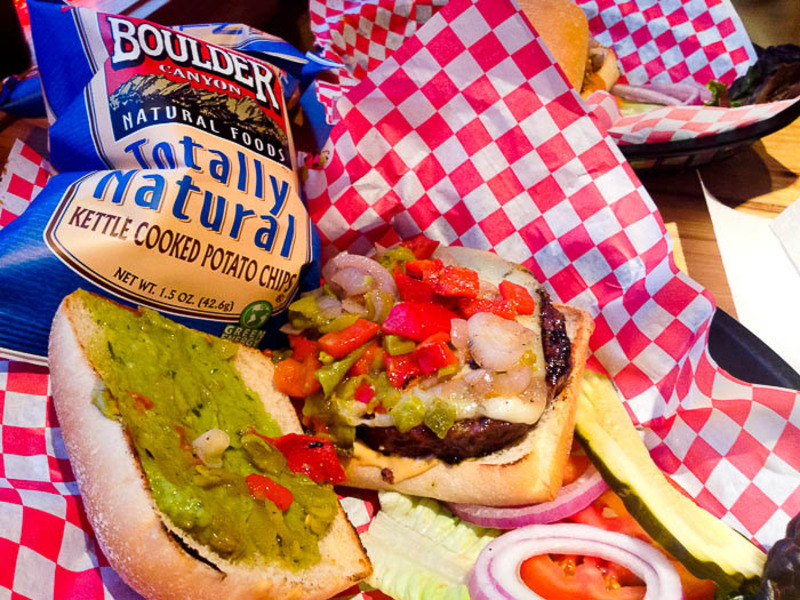 They happened to have some very yummy-sounding burgers on their menu that we couldn't resist. John got one topped with blue cheese and buffalo sauce and I had the Southwestern with green chiles, roasted red peppers, guac, pepper jack and chipotle mayo. They were ridiculous. The rain let up just as we were taking the last sips of our beer. We walked outside and our jaws dropped. The mega-mountain peaks that were covered by clouds on our way in were now vibrantly illuminated by the setting sun. It's hard to describe the sensation of being surrounded by walls of rock that rise 5,000 feet from where you stand. I know I've been using this word a lot lately, but it's simply magical. I felt so tiny in the presence of something so big and old and permanent. It's awesome. Just awesome. Special thanks to Alex B. 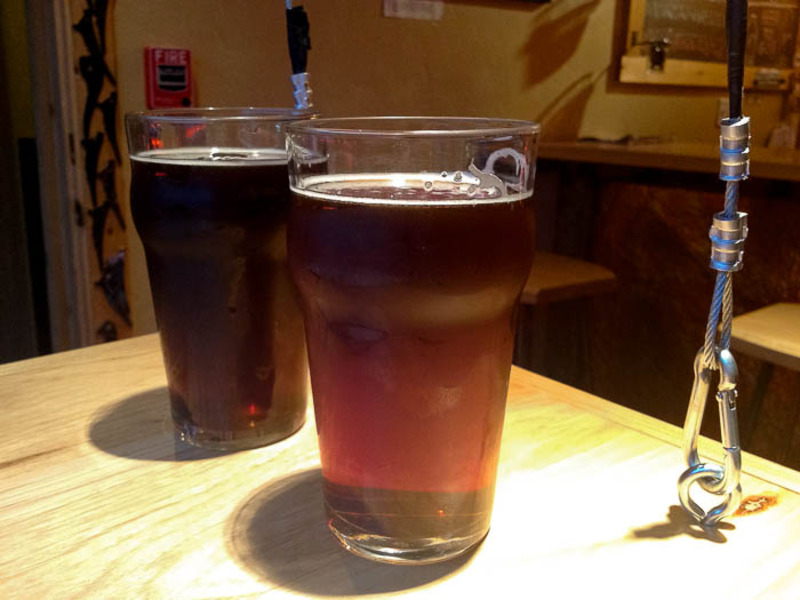 (who suggested walk around town, enjoy breweries) for making this blog post possible!